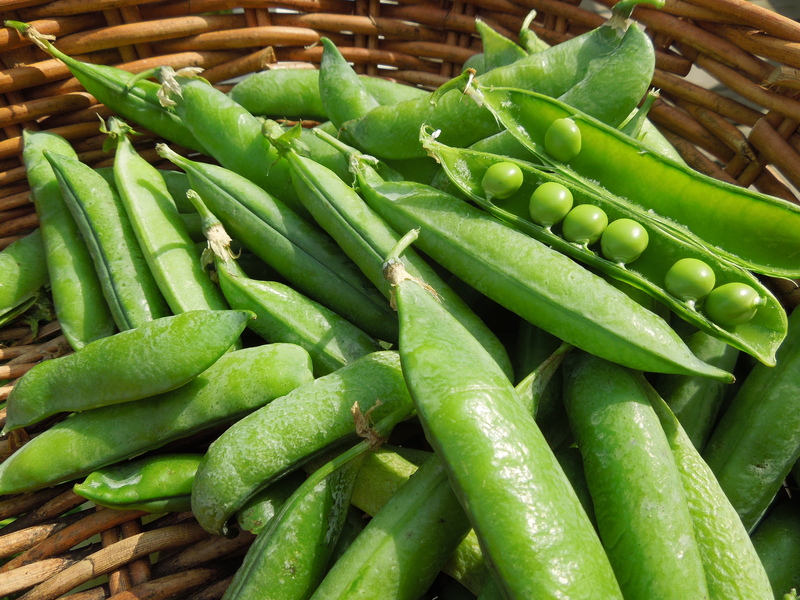 Nothing beats picking fresh peas from your own garden – in fact ours often don’t make it back to the kitchen because we eat them out of the pods on the spot. But you can make this with fresh or frozen peas and the whole meal (potatoes apart) takes minutes to prepare and cook. Full of zesty flavours, it is perfect for a quick weekday supper or a light summer lunch. 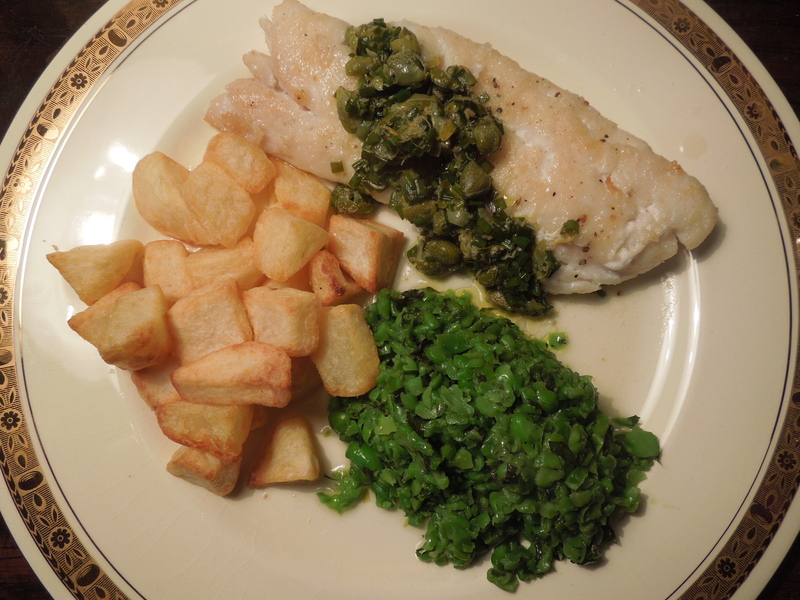 We ate the fish with cubed fried potatoes (or try new potatoes, simply boiled) but the highlight for me was the crushed, minted peas. They’re a revelation if you’ve never tried this method before and their sweetness makes a good contrast to the sharp caper and lemon sauce. First, make the sauce. Whisk the lemon zest and juice, the chopped, rinsed capers and snipped chives with a tablespoon of olive oil and set aside. For the minted peas, defrost first if frozen, then crush them in a food processor using the pulse button or with a potato masher. They should be roughly chopped, not pureed. Put them in a saucepan with the olive oil, chopped mint, a good pinch of salt, freshly ground pepper and a pinch of sugar. Put a lid on and cook on a medium heat for around four minutes. Check the seasoning and add a squeeze of lemon juice if necessary. Keep warm. Just before you want to eat, dust the fish with seasoned flour, tap off the excess and fry in half a tablespoon of oil for 2-3 minutes a side until cooked. 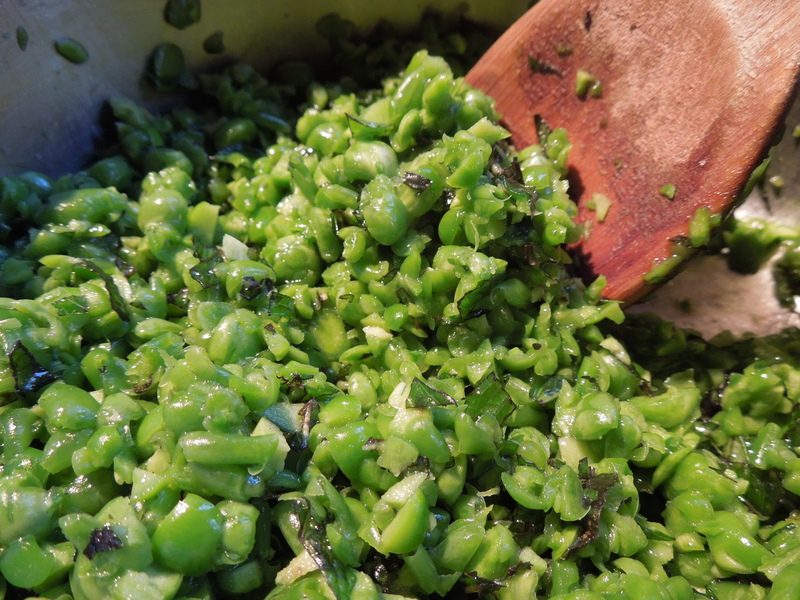 Serve with the lemon and caper sauce spooned over the top and with the peas on the side. This entry was posted in Fish and shellfish, Vegetables and salads and tagged crushed peas, haddock with capers and lemon, minted crushed peas, pan-fried haddock, quick supper, summer lunch by Linda Duffin. Bookmark the permalink. Cooked this to tonight – fantastic. Great flavours, especially the crushed peas with mint. Went particularly well with buttered new potatoes and a gois Prosecco. Obviously a very good prosecco! So pleased you tried it and liked it, thanks for commenting.